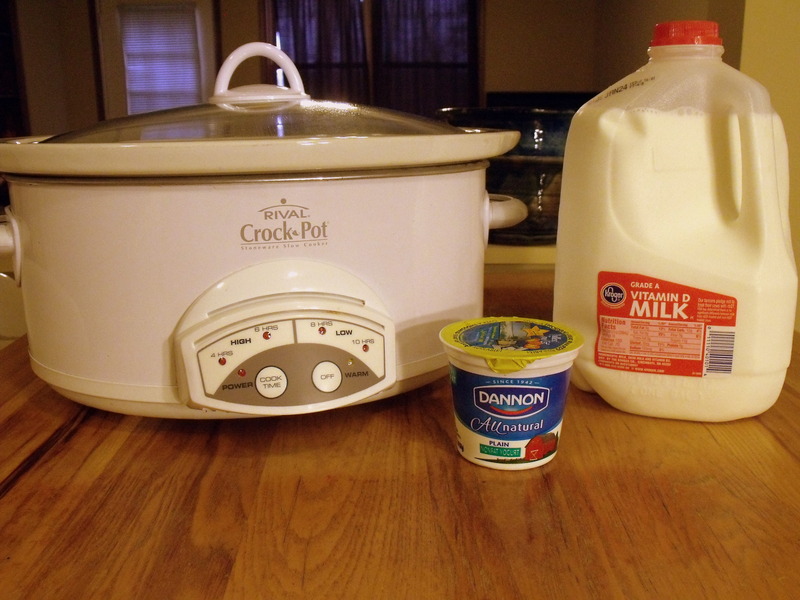 1) Place milk into crockpot. I’ve fit an entire gallon of milk into mine, but you probably don’t want to fill it up more than about an inch from the top. 2) Put the lid on and turn to low. Set the timer for 2 1/2 hours. 3) After 2 1/2 hours unplug the crockpot and leave it sit unopened for 3 hours. 4) After 3 hours whisk in the yogurt. 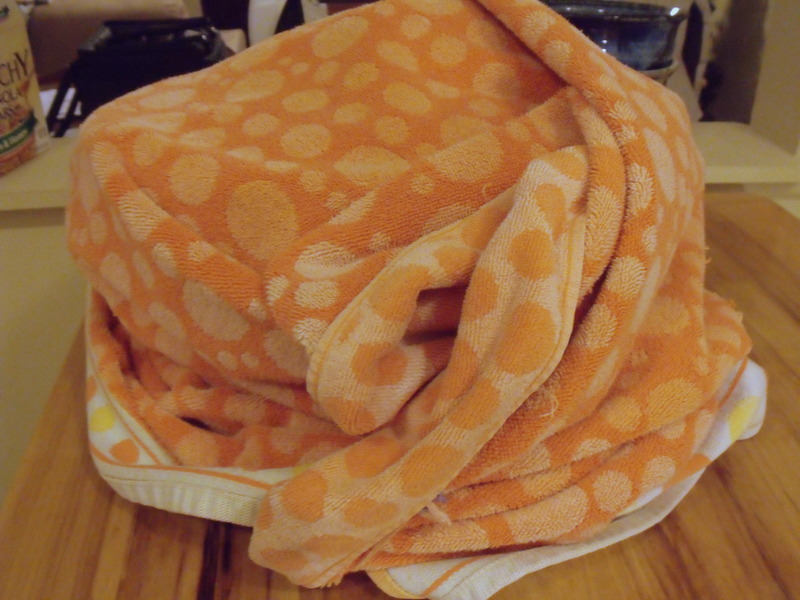 Cover and wrap a heavy towel around the crockpot for extra insulation. Leave it 8 hours or overnight. 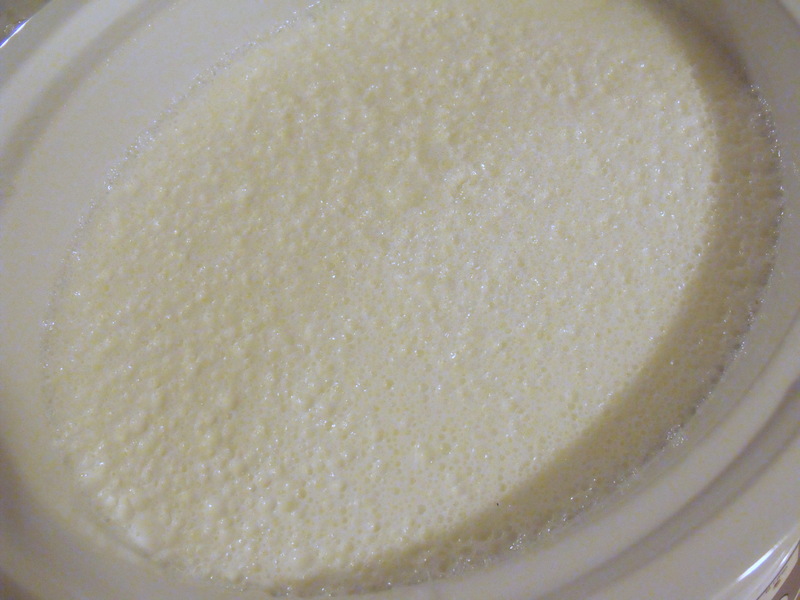 It will thicken up into beautiful, yummy yogurt. 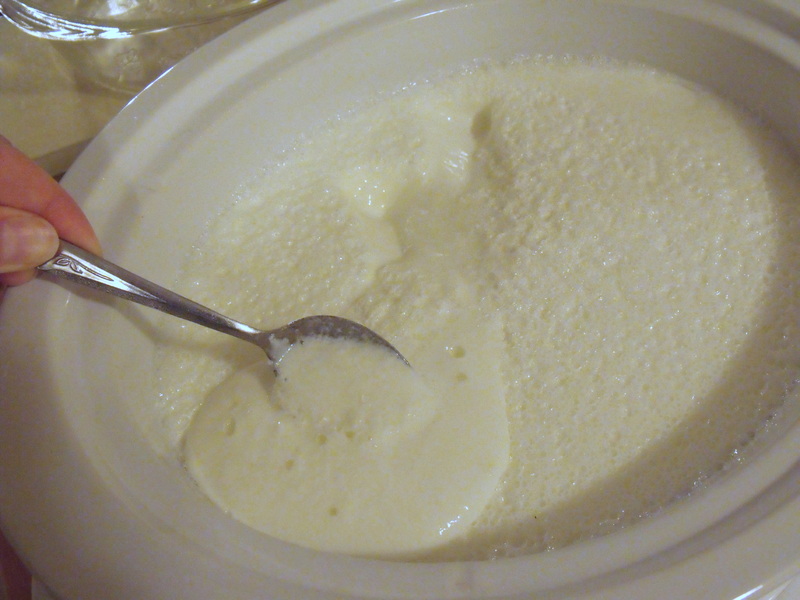 It will not be as thick as store bought yogurt, but closer to the consistency of yogurt drinks. I’ve read you can add powdered milk or gelatin to thicken it up, but don’t really know too much about it. We’ve grown accustomed to this just being the way yogurt is since it is all we eat. Each batch will vary slightly as far as how thick it is and the only time I’ve ever had a batch not turn out right was when I didn’t stir in the yogurt after three hours, but more like 4 (which, in retrospect, I should have just put it in the fridge and started in over again later). 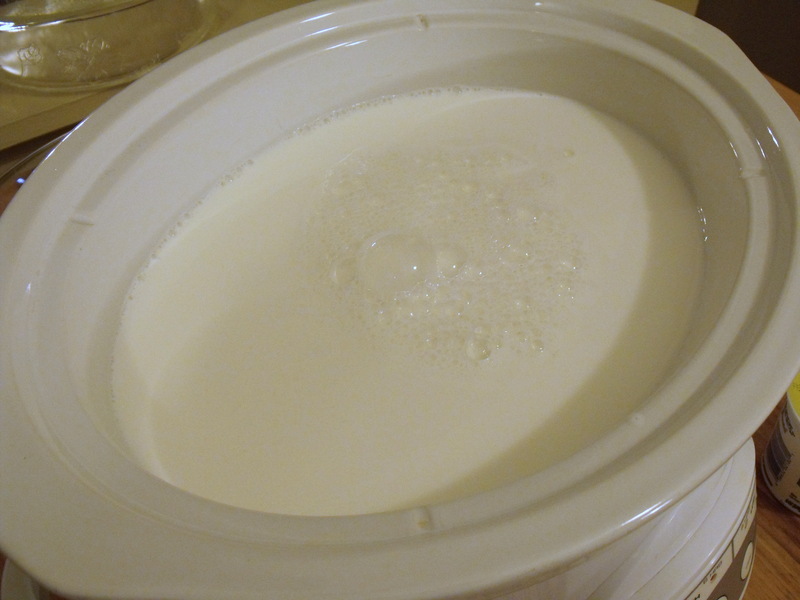 You can also save some of the yogurt and use it as the starter for the next batch. I usually just end up buying another 50 cent cup though since I don’t always make it right away again after we run out (but I never wait too long!). How do you use plain yogurt? Well, I’ll just eat it plain, since I find the flavored types from the store way to sweet for my liking. But other ways you can use it is in parfaits, smoothies, or frozen yogurt. It’s great with some fresh fruit thrown in or some granola on top. If you want something similar to store bought flavors try adding a little bit of honey and vanilla, or a spoonful of jam. So good for you, so easy, and so tasty! I hope you try it!